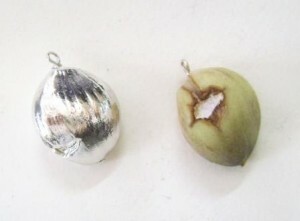 We “coated” with pure silver 999 ° garlic, which was brought to us, in order to create a unique pendant! The metal “embraced” the surface of garlic and captured every detail and created a sense of another fruit. So to avoid the “eye”… as we say here in Greece!